Groundwater resources are facing a high pressure due to drought and overexploitation. The main aim of this research is to apply rotation forest (RTF) with decision trees as base classifiers and an improved ensemble methodology based on evidential belief function and tree-based models (EBFTM) for preparing groundwater potential maps (GPM). The performance of these new models is then compared with three previously implemented models, i.e., boosted regression tree (BRT), classification and regression tree (CART), and random forest (RF). For this purpose, spring locations in the Meshgin Shahr in Iran were detected. The spring locations were randomly categorized into training (70% of the locations) and validation (30% of the locations) datasets. Furthermore, several groundwater conditioning factors (GCFs) such as hydrogeological, topographical, and land use factors were mapped and regarded as input variables. The tree-based algorithms (i.e., BRT, CART, RF, and RTF) were applied by implementing the input variables and training dataset. The groundwater potential values (i.e., spring occurrence probability) obtained by the BRT, CART, RF, and RTF models for all the pixels of the study area were classified into four potential classes and then used as inputs of the EBF model to construct the new ensemble model (i.e., EBFTM). At last, this paper implemented a receiver operating characteristics (ROC) curve for determining the efficiency of the EBFTM, RTF, BRT, CART, and RF methods. The findings illustrated that the EBFTM had the highest efficacy with an area under the ROC curve (AUC) of 90.4%, followed by the RF, BRT, CART, and RTF models with AUC-ROC values of 90.1, 89.8, 86.9, and 86.2%, respectively. Thus, it could be inferred that the ensemble approach is capable of improving the efficacy of the single tree-based models in GPM production. Asia, S., & Richman, P. (1991). Planning for groundwater protection, 273. https://doi.org/10.1016/S0376-7361(09)70018-4. Carty, D. (2011). An analysis of boosted regression trees to predict the strength properties of wood composites. Masters Theses. http://trace.tennessee.edu/utk_gradthes/954. Accessed 5 April 2018. Dempster, A. P. (1968). A generalization of Bayesian inference. Journal of the Royal Statistical Society. Series B (Methodological). WileyRoyal Statistical Society. https://doi.org/10.2307/2984504. Ghorbani Nejad, S., Falah, F., Daneshfar, M., Haghizadeh, A., & Rahmati, O. (2016). Delineation of groundwater potential zones using remote sensing and GIS-based data-driven models. Geocarto International, 1–21. https://doi.org/10.1080/10106049.2015.1132481. Hong, H., Naghibi, S. A., Moradi Dashtpagerdi, M., Pourghasemi, H. R. H. R., & Chen, W. (2017a). A comparative assessment between linear and quadratic discriminant analyses (LDA-QDA) with frequency ratio and weights-of-evidence models for forest fire susceptibility mapping in China. Arabian Journal of Geosciences, 10(7). https://doi.org/10.1007/s12517-017-2905-4. Khorasan Razavi Regional Water Authority (2015). http://www.khrw.ir/?l=EN. Koyuncu, H., & Ceylan, R. (2013). Artificial neural network based on rotation forest for biomedical pattern classification. In 2013 36th International Conference on Telecommunications and Signal Processing (TSP) (pp. 581–585). IEEE. https://doi.org/10.1109/TSP.2013.6614001. Pham, B. T., Jaafari, A., Prakash, I., & Bui, D. T. (2018d). A novel hybrid intelligent model of support vector machines and the MultiBoost ensemble for landslide susceptibility modeling. Bulletin of Engineering Geology and the Environment, 1–22. https://doi.org/10.1007/s10064-018-1281-y. 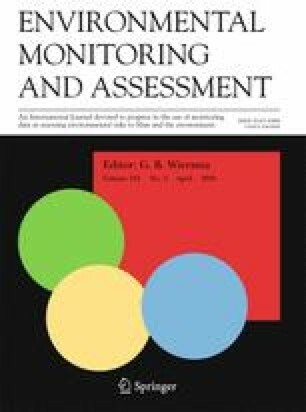 Pham, B. T., Prakash, I., Khosravi, K., Chapi, K., Trinh, P. T., Ngo, T. Q., Hosseini, S. V., & Bui, D. T. (2018e). A comparison of support vector machines and Bayesian algorithms for landslide susceptibility modelling. Geocarto International, 1–23. https://doi.org/10.1080/10106049.2018.1489422. Shafer, G. (1976). A mathematical theory of evidence. Princeton University Press. https://press.princeton.edu/titles/2439.html. Accessed 5 April 2018.